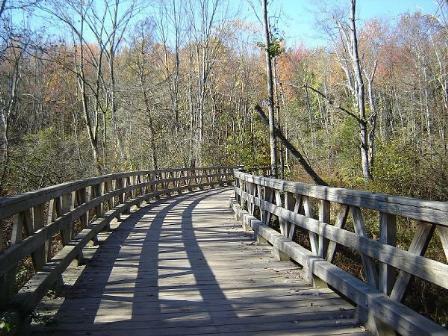 The Town of South Hadley purchased the 244-acre Ledges site in 1996. In August 2001, after 3 years of planning, permitting, and building, Ledges Golf Club opened for its first round of golf. The clubhouse at that time was a double wide trailer and the banquet facility was a large tent. In March 2005 South Hadley hired well known golf course maintenance contractor International Golf Maintenance (“IGM”) out of Champions Gate, FL. New course Superintendent Mike Fontaine immediately went to work tackling the problems of the past. By mid-season the conditions were vastly improved. 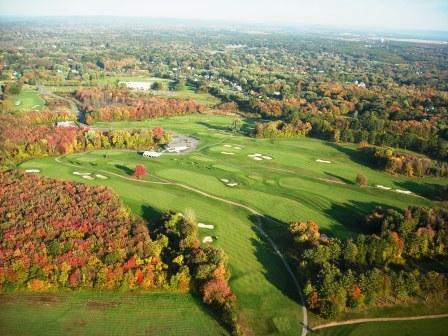 By the 2007 season golf course conditions ranked among the best in Western Massachusetts – public or private. 2007 also saw the addition of a driving range and plans for a new clubhouse facility. The new clubhouse opened for the 2008 season with a full bar and extensive menu, making the Ledges Golf Club a complete golf facility. IGM has also implemented Audubon International’s Cooperative Sanctuary Program, which cuts the use of dangerous pesticides and fertilizers. As a result, wildlife is thriving at The Ledges. In its first 15 years, Ledges Golf Club in South Hadley has established itself as one of the golfing gems of Western Massachusetts. If you haven’t played Ledges Golf Club you’re missing an exciting golf experience. With Excellent Conditions, Fantastic Vistas, Full Amenities, and a Professional Staff waiting to serve you. Click here to book your tee time online. Beginning in 2015, the Ledges became the home of the Connecticut Section PGA’s Spring Stroke Play Championship with the winner earning a spot in the PGA Tour’s Travelers Championship. South Hadley’s own Adam Rainaud was medalist in 2016.